We are so busy here at Dreamees HQ getting ready for a couple of shows the first one being on the 10th June at doncaster Dome which is organized by WHICHCRAFT we are looking forward to this show as we havent done this one before I havent even been as a customer to this show so it will be so exciting. We are also doing lots of stock for the NEC in November we have booked our stand and it will be G 50. Well this is a bit of an update of what we are on with at the moment. 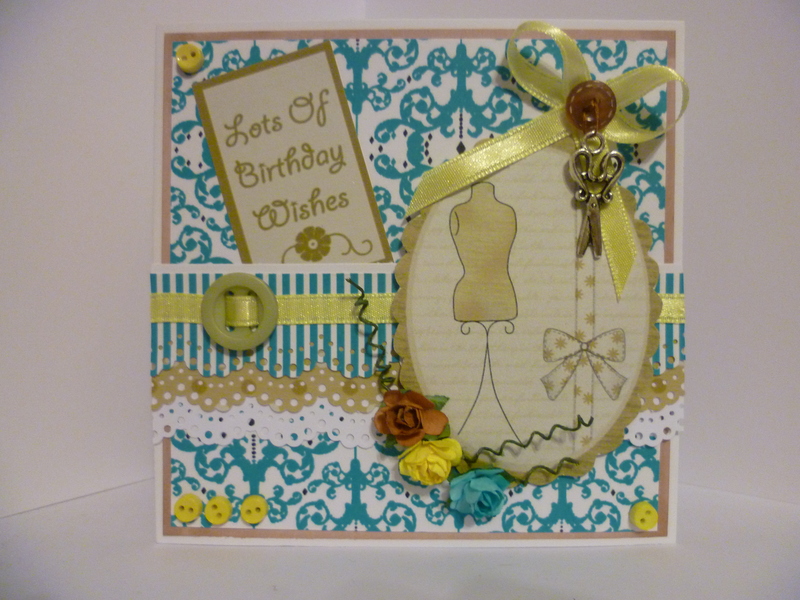 Below is a card Hayley has made using our Cuttables Vol 3 this range of cds have sold so well, as we use all our own embellishments on our cards from these cds.